Further revelations regarding the role of Russian private military contractors in Syria exposes how, under Putin, “state” and “private” are often one and the same thing. 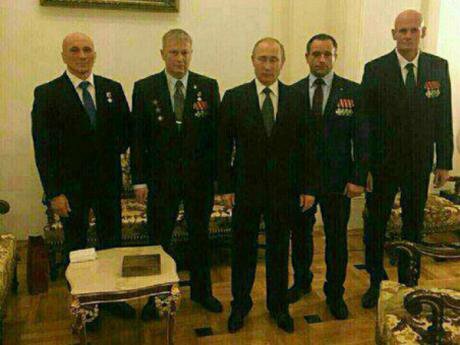 Dmitry Utkin ("Wagner") pictured here on the far right together with Russian president Vladimir Putin and other Wagner commanders. This image is believed to date from December 2016. Mercenaries are illegal under Russian law, but that doesn’t stop them from being a central element of the Kremlin’s geopolitical adventurism, whether in Ukraine or, even more clearly, Syria. The tale of Wagner, a St Petersburg outfit at the heart of the fighting in Syria, says much about the privatisation of statecraft and the mobilisation of private enterprise in modern Russia. The private security industry is a major sector in Russia, but private military companies (PMCs), those directly involved in fighting in combat operations rather than simply guarding people, goods and facilities, remain outside of Russian law. ChVK (Private Military Company) Wagner, despite having offices in St Petersburg and a training camp on the grounds of a Russian commando base in southern Russia, has managed to thrive, perhaps because its main client has been the Russian state and its Syrian ally. Wagner is simply the latest expression of an evolving policy. Back in 2011, Putin himself suggested that “these kind of companies are a way of implementing national interests without the direct involvement of the state” (something I later called “elastic power”). Two years later, Deputy Prime Minister Dmitry Rogozin, one of the most enthusiastic cheerleaders of a more aggressive and adventurous foreign policy for Russia, again floated the idea. From the outset, it was clear that the aim was a structure financed through private contracts, but essentially there had to be a deniable instrument for the state. Perhaps not surprisingly, at the time the Russian Defence Ministry and General Staff were fiercely opposed. They were not involved in any messy foreign wars, and they viewed this is as likely to usher in a growing role for the security agencies in their own activities. 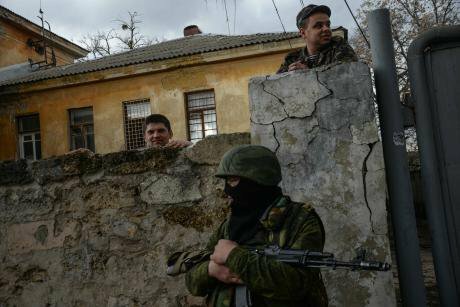 March 2014: "unidentified" soldiers in Simferopol, Crimea, Ukraine. (c) Julia Kochetova/ABACA/PA Images.In a bid to combine effectiveness and deniability, the GRU (military intelligence) and FSB (Federal Security Service) experimented with pseudo-mercenary forces. In 2014, the GRU dispatched the Vostok Battalion, initially drawn largely from North Caucasus veterans, to assert Moscow’s authority in Donetsk. Meanwhile, many Russians with combat experience were hired in ones, twos, and tens, to be commanders, technical specialists, trainers and front-line fighters. One such veteran was reserve Lt. Col. Dmitri Utkin, a former officer in the 2nd Spetsnaz (Special Forces) Brigade, who joined the Moran Security Group on mustering out in 2013. Moran is a Russian private security company, but Utkin soon cropped up as part of the ill-fated Slavonic Corps, a Russian mercenary unit briefly deployed into Syria in 2013, which bypassed Russian law by being apparently a Hong Kong-based offshoot of Moran, as reported by Fontanka. This was not a happy experiment. The mercenaries arrived in Syria, where they were sent into action unsupported and unprepared, without the equipment they had been promised. They soon returned to Russia in disarray, where most were detained by the FSB for breaching Article 348 of Russia’s Criminal Code, banning mercenary service. This may seem unfair — even by Russian standards. Most of them had been recruited through the good offices of the FSB, and Moran was run by FSB veterans, but the intent seems to have been to force them to keep quiet. Those who seemed still eager, though, were to have a second chance with the subsequent formation of Wagner, named for Utkin’s call-sign in the Donbas which, charmingly enough, reflects his apparent “commitment to the aesthetics and ideology of the Third Reich”. In 2015-2016, Wagner was deeply involved in combat operations in Syria. As Fontanka’s Denis Korotkov reported, Wagner had apparently almost 2,000 fighters at peak, carrying out duties ranging from guarding strategic facilities to spearheading attacks when the Syrian forces and their Hezbollah confederates were deemed to need bolstering, such as the March 2016 drive on Palmyra. As such, they were well-trained, well-armed and well-regarded. They also took substantial losses, but part of the reason for outsourcing ground fighting to Wagner, however thin the fiction that it was a mercenary rather than government force, was precisely so that the Russian government would not have to report casualties. This was, the line went, nothing to do with them. Although this didn’t stop the Russian government was awarding several of them military decorations. Most were withdrawn in spring 2016, paid off and returned to their old lives. Then late in the year, the decision was made to send some back, both for combat duties and above all to defend the oil fields around the Khayan facility. However, times had changed. Wages were cut and often paid late; North Korean AK-47 knock-offs replaced the modern Russian rifles they had previously been issued, and a few 1960s-vintage tanks represented their fire support. Increasingly, Wagner had to recruit from the Donbas and the North Caucasus to bring its strength up to around 2,000, even from men rejected the first time round. Perhaps not surprisingly, casualty rates have risen. What changed? The answer seems to be that now they are technically working for a Russian oil and gas company operating in Syria, and which is linked to Evgeny Prigozhin, a close Putin ally. It is likely no coincidence that its head of security is close to Utkin. So is this the use of a state asset for private purposes, or a private corporation to fund and justify the presence of a state asset? As usual in Putin’s Russia, the answer is both at once. To use one of the buzzwords of the day, Russia has a hybrid economy, in which businesses do business, but on the understanding that the state has the right, in practice if not in law, to conscript them at any time for its ends — whether that means building a presidential palace, funding sporting events, giving cover to a spy or fighting a war. The true currency of Russia is not the rouble, it is political favour. Without it, today’s millionaire risks becoming tomorrow’s convict. With it, though, even the least effective entrepreneur can become rich on preferential contracts and by cannibalising his rivals. To this end, this is a system full of “political entrepreneurs” who generate initiatives which they believe will please the Kremlin, in the hope of future gain, or who willingly seek opportunities to be of use. A demigarch like Konstantin Malofeev — the man who brought Igor Strelkov to Crimea and has been accused of being a Kremlin agent of influence in the Balkans — does so both out of conviction and because of the potential political advantage. 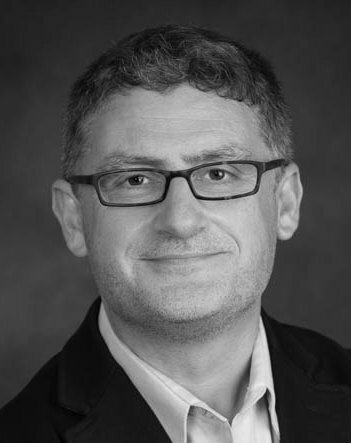 Thus, a company like Wagner is simply an extreme example of the prevailing “hybrid business” model. It looks like a private sector body, and sometimes it will act as such, but whenever it is needed by the state, it is pressed into service. However, it is crucial to remember that this goes both ways. It is not simply that Russian state assets are plundered by the kleptocrats, but that there is a more pervasive assumption that state resources are available for private sector gain. Whether this means misusing intelligence materials to win a contract or pressurise a rival, or diverting troops to build a road to a holiday resort, what is corruption in law is commonplace in practice. The use of intelligence and military contractors has been problematic for the west, leading to badly-controlled operations and poaching of expensively-trained personnel by the private sector. That is, at least, subject to a degree of public scrutiny and legal accountability, if hardly enough. In Russia, without even these inadequate safeguards, Putin’s eager outsourcing of his geopolitical adventurism further privatises his own state from under him.